Marcelo Johann (Member of IEEE, AES, ICMA, SBC) received his Bachelor (5-years), Masters and the Ph.D. degrees in Computer Science from the Federal University of Rio Grande do Sul (UFRGS), at Porto Alegre, Brazil, in 1992, 1994 and 2001, respectively, having spent 6 months as a visiting student at UCLA, USA, in 1997. He worked as a professor at the Catholic University of Rio Grande do Sul (PUCRS) from 2000 to 2002, and is a full-time professor at UFRGS since 2003. 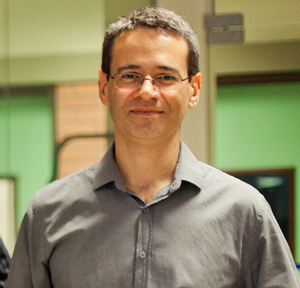 Dr. Johann co-authored 9 book chapters and published more than 60 conference papers in topics related to Computer Aided Design of ICs. His research interests include algorithms for placement, routing, discrete gate sizing, combinatorial optimization, circuits for audio and computer music. Since 2009 he is involved with the process of recording classical music concerts in Porto Alegre using custom equipment.